YugAgro takes place in Krasnodar’s modern exhibition venue Expograd Yug. The show occupies 4 indoor areas and 3 outdoor zones. Additional parking places are located near the main parking area of Expograd Yug. 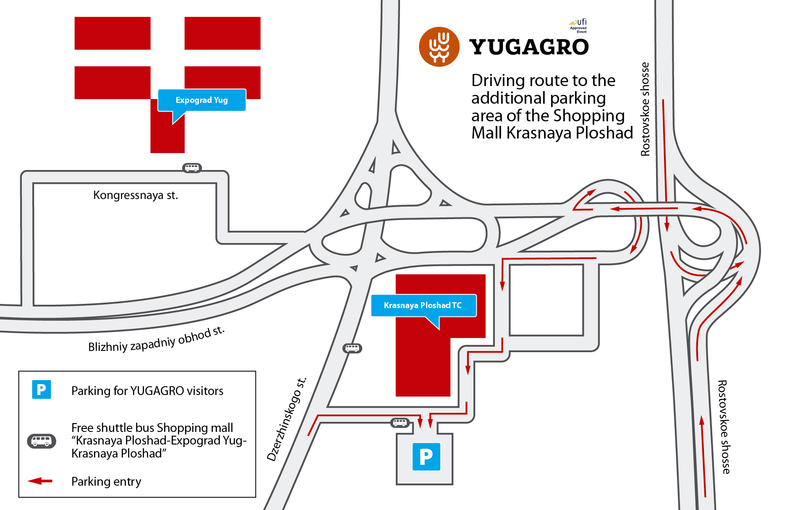 A further parking area is located at the Krasnaya Ploshad shopping mall. 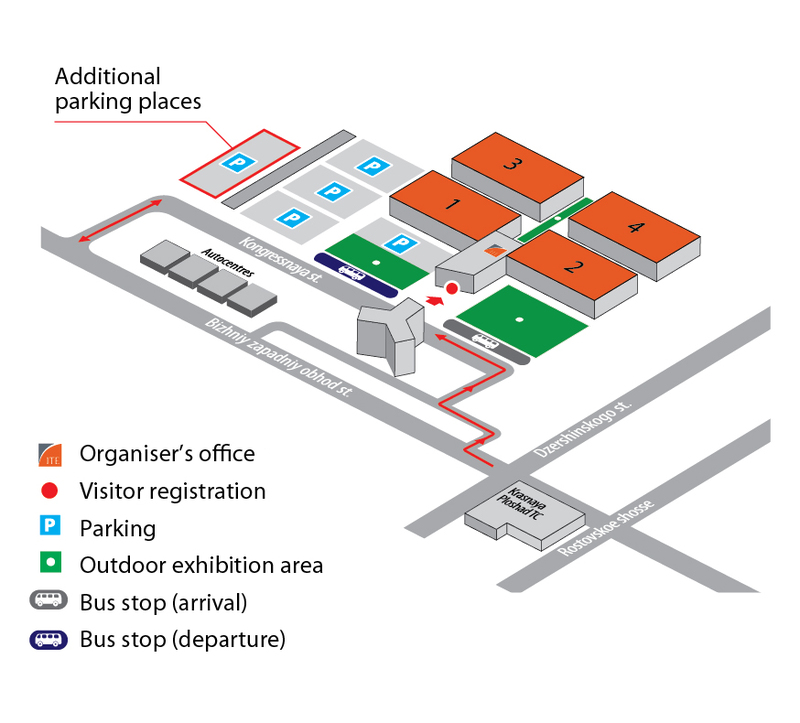 For the duration of the exhibition, a free shuttle bus service will be running between Expograd Yug and Krasnaya Ploshad. The bus stop is located near the mall’s car park entrance and at the public transport stop at Krasnaya Ploshad’s main entrance.